I was going for work in Djibouti so I asked the company to send me to Djibouti a few days earlier. Djibouti, not a place you go for holiday and when I have to go, well, I took th eopportunity to get a few days of bird watching. 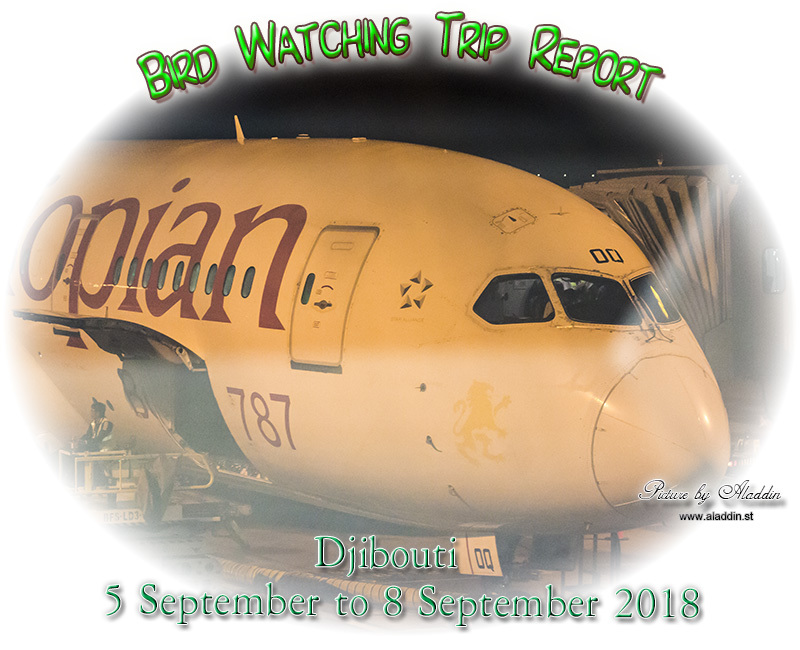 I was in Singapore for a few days of bird watching when they called so I really didn´t had a lot of time to find information about bird watching in Djibouti. I was not surprised as I had not expected Djibouti to be a tourist or a birding destination. Hotels, not so many to choose from and I booked 4 nights on Acacias Hotel. It was only Sheraton and Acacias Hotel that looked like places where I would like to spend my night. Sheraton, their review was not so good so I chose Acacias Hotel. 10 US Dollars cheaper than Sheraton, but very expensive, almost 250 US Dollars per night. And I managed to find a birding Guide, but I just got upset when I received his qoutation. 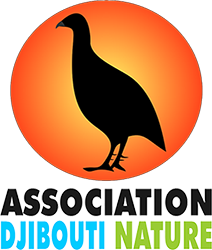 If your birding visit is targeted to our only endemic Djibouti francolin, you will may need to go to Day Forest and there I have to book for you for a rough accommodation at there I can book for you. Just let me know your thought and it will cost hereafter. 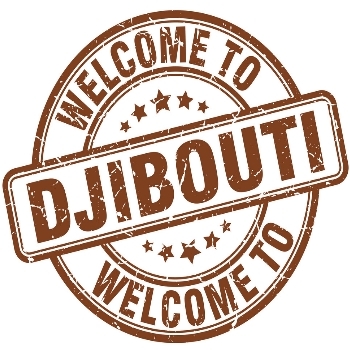 If it fits your expectation, please confirm and let me know which hotel will you stay once you arrive in Djibouti. Almost 600 US Dollar per day and well, expensive, but the Logistics fee lump sum :$500 made me furious. This was robbery and I decided not to have anything more to do with this Guide. I have been around the word with private Guides, but I have never seen something like this. So I left home without a booked Guide hoping for the best. Apply for eVisa HERE I didnät had any visa when I arrived, and I didn´t had any cash in my valet. They needed 50 US Dollars in CASH for the visa. I was lucky, they let me pass so I could go look for an ATM. The first ATM was not working and I returned to the immigration. One of the Officers followed me and we found another ATM and I could pay for my visa. I would never recommend anyone using the public transportation in Djibouti. 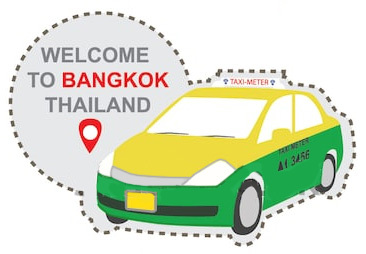 And where ever I was going there was only one option, by car so you need a Guide with a 4WD. They gave me the name card for a Guide at Acacias Hotel. I called him and he came down to the hotel and we had a chat. He was charging 300 US Dollars per day and he would come to pick me up early morning. 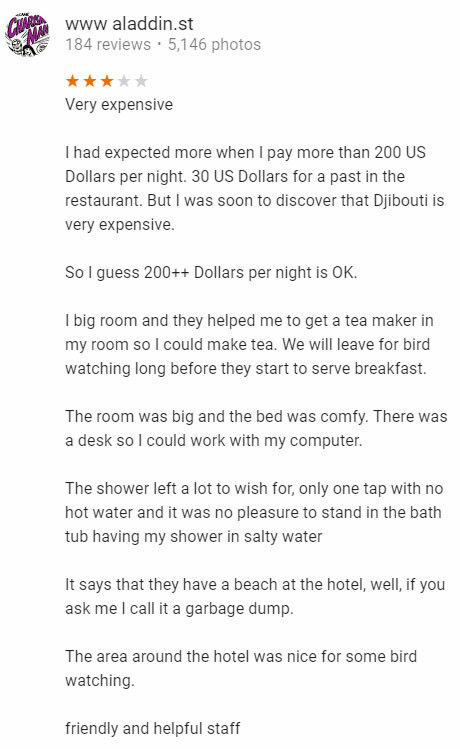 He didnät know anything about birds, but he knew the areas and I can recommen him if you ever go to Djibouti. I have been to Africa and the Middle East before so I knew what weather to expect. 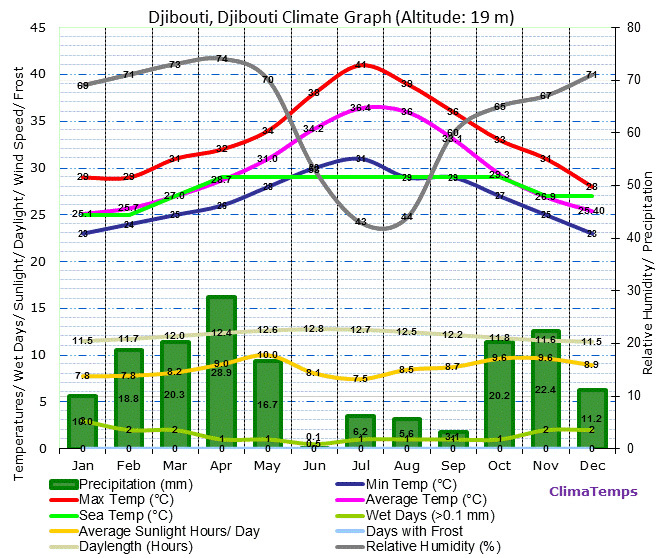 No need for any winter clothes, shorts and shirt would be enough during my time in Djibouti. 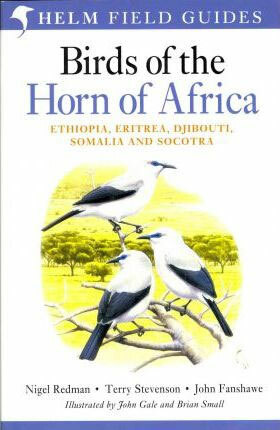 Birds of the Horn of Africa is widely regarded as the best field guide to the more than 1,000 species of resident, migrant, and vagrant birds found in northeast Africa—and it just got even better. Now fully revised and expanded, this comprehensive, easy-to-use guide has been updated with the latest information on distribution, identification, and taxonomy. New vagrants to the region have been added; color plates, illustrations, and distribution maps have been thoroughly updated and improved; and much more—making this still the must-have guide for birders, naturalists, and travelers in the region. The Forêt Du Day ecosystem is a dry tropical Afromontane mixed woodland in the Goda Massif mountain ranges in the North of Djibouti with an altitudinal range between c. 1200 m to c. 1750 m and is an Important Bird Area (BirdLife International, 2000). It consists also one of the few forested areas still remaining in the country where, historically, the dominant forest tree was African pencil cedar Juniperus procera, which formed a closed canopy forest until a dramatic decline in the last 20-30 years which left a large proportion of the junipers dead or dying, and the canopy open (Bealey et al., 2006). At higher altitudes, the under storey consists principally Buxus hildebrandtii, whilst in peripheral and lower areas the main species are Acacia seyal, Acacia etbaica and Acacia mellifera. Scattered large Ficus sp. occurs throughout. Beyond the forested plateaus at high altitude are extensive basalt plains with scattered shrubs including many Euphorbia sp. There are valleys with permanent open water in many areas, favoured habitat of the regionally vulnerable endemic Bankoualé palm Livistona carinensis. is the home to 70% of the land based biological diversity. Ecology of this landform is considered an isolated outlier of the Ethiopian Montane forest hotspot & Ecozone, as important island of forest in a semi desert. In terms of ecosystem of global and national significance, the Forêt Du Day is the home to 70% of the land based biological diversity and hosts a variety of rare, extremely arid-adapted globally threatened as Critically Endangered Djibouti Francolin, Leopard, Dragon and Livistona trees. Further it has survived for many centuries as biological diversity genetically reservoir and important natural resources to feed and contribute the community livelihood in a highly desert landscape in areas of the Djiboutian dry highlands. Further, at Forêt du Day, the juniper woodland, which is a rest of an ancient forest, is in poor condition with a high proportion of trees dead or dying. Other concerns include firewood collection on lower slopes, hunting and human disturbance. Part of Forêt du Day was declared a National Park in 1939 and more recently protected area, but the designation is no longer valid before than at present time (Government 2004). In addition to its biodiversity importance, Forêt du Day Ecosystem provides natural resources (fire wood, grazing pasture) and environmental services (water supply, erosion control) which are vital to local livelihoods. The deteriorating natural environment is therefore of concern to local people. The reasons for the poor condition of the juniper woodlands of Forêt du Day is unclear, but overgrazing by cattle, camels and goats, is certainly a major factor, possibly exacerbated by acid rains, climate changes and fungal diseases with no scientifically study evidences. Other threats include firewood collection, hunting and human disturbance. Although the species’ ecology and biology are also poorly known and its persisting behaviour to occur in dead and extremely degraded juniper woodland remains unclear for its long-term survival. The Goda Mountains lie northwest of the Gulf of Tadjoura, Tadjoura Region in Djibouti. They rise to 1,750 metres (5,740 ft) above sea level and are the nation's largest heavily vegetated area and is the second highest point in Djibouti. A part of the mountains is protected within the Day Forest National Park, Djibouti's only national park. The ecology of this landform is considered an isolated outlier of the Ethiopian montane forest ecological zone, an important island of forest in a sea of semi-desert. To drive up the mountain to the Day Forest National Park and you have to stop at a military camp when coming up the mountain. Not allowed to take pictures of amy military and police instalations or personel in Djibouti. There is a camp in the village called Day Forest tourist camp. I would not have wanted to live there. But there are several Hemprich's hornbills in th evillage. And according to my Guide it is one of the few places to see the Hemprich's hornbill. Ali-Sabieh/Assamo is located in the south-eastern and distanced from Djibouti city, the capital of the country about 120 kilometres. It is an area bordering with Ethiopia and Somalia and constitutes low hills and medium altitudes mountains intersected by wadis “dry rivers” and with large zones of sparse acacia, mixed shrubs and some small gardens developed in the broader wadis where ground water accessibility is easy. By its geographical location in the border with Ethiopia and Somalia, diversity of bird species of this site shows a mix of species which differs from other IBAs b in Djibouti. The wadis with acacia shrubs support northern crombec, Arabian warbler, black bush robin, grey-headed batis, yellow-breasted and black throated barbets, yellow-necked spurfowl, and rosy-patched shrike. Wadis with Tamarix patches support nightjar species (possibly European and Nubian nightjars). The gardens host large numbers of Somali bulbul and Rüppell’s weaver, Blue napped mousebird, individual grey headed kingfisher, red-billed oxpecker, crimson-rumped waxbill, green-winged Pytilia, shining and variable sunbirds, and wattled starling. Ali-Sabieh/Assamo is the only area in Djibouti where the Abyssinian scimitarbill, eastern violet backed sunbird and pale chanting goshawk have been observed. Additionally, the area hosts two globally threatened mammal species such as Endangered Leopard Panthera pardus pardus and Vulnerable Beira antelope Dorcatragus megalotis. As Eyla or Diksa (Arabic: ايلى‎), It is located around 160 kilometres southwest of the capital, Djibouti City, it has an estimated population of 684 people. It is located along the National Highway 6. Interesting drive through the desert until you reach `As `Ela. Drive through the “town” and leave the main road going South for 10 minutes and you reach a garden. 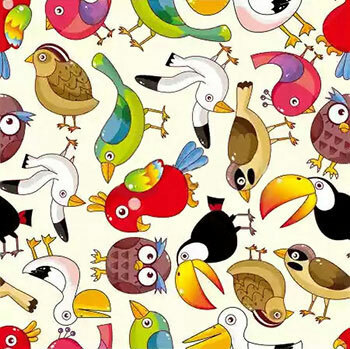 There was a lot of different birds in this area. There isn´t muh in Dikhil, but the Ferme Agro Pastorale De Dikhil. You need to ask for permission to enter the small garden. During my visit there was a lot of Rüppell's weavers weaving nests in the garden. To get the permission, I don´t know, my Guide arranged it. But across the road from the small gate to the garden ther eis an office. Walk 100 meters down the road, to the left looking from the gate and the office is on the right hand side. Try to ask there, they are friendly. But the list can come in handy to find out the local name of the bird etc. And Avibase have a list with pictures and sounds, excellent! 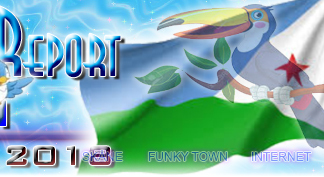 So I have 4 different checklists from different parts of Djibouti below.